And itâ€™s the same news. As you can see from the chart showing sales from the Arizona Regional Multiple Listing Service (ARMLS) sales have been moving up since the first of the year. As you can also see â€“ as Iâ€™m showing same month sales for the past two years â€“ it is quite normal for sales to move up this time of the year. The most impressive number on the page is the total sales for May of 2008. Compare that to May of 2007. If you look at January of 2007 and compare it to January of 2008, we are down by almost 34%. Same comparison for February and we are down by 37%. March is 33% and April is down to an 11% difference. But in May it is only a 2% difference. As in, things are improving! That is the good news. If that trend was to continue â€“ and I believe it will â€“ the total sales in the valley are starting to head towards â€œgood timesâ€. However, there is a caveat. There is a problem and it isnâ€™t going away anytime soon. We wrote about it last month and this month will give yet a different take on that same issue (the â€œbadâ€ news part). Most of the sales reported in ARMLS — and that is most sales in the valley– are either short sales (pre-foreclosure) or Real Estate Owned by banks (foreclosures). Usually referred to as REO properties, it is the banks who are currently selling the most houses just now; either through a short sale where they announce what they will settle for or as the owner of the foreclosure. Isnâ€™t more business a good thing? Absolutely, yes. I am delighted to see that statistic moving north which is also contributing to a decline in inventory, particularly in the 350k and under range (the FHA price range). But as those banks continue to sell off their inventory of homes taken back and as they approve the short sales (where they are settling for less than they are owed) another thing is affected: neighborhood value. The sales prices that any appraiser will see when doing an appraisal on a â€œregularâ€ open market listing are going to be lower. Significantly lower. When there is just one bank sale in a neighborhood and the rest of the sales are non-distressed open market sales, that one sale can be ignored. When the bank sales and the short sales comprise the bulk of the sales, they canâ€™t and wonâ€™t be ignored. This isnâ€™t intended to panic anyone or cause concern. It simply is what is happening. Currently in the edge communities, sales are occurring of homes that are being sold for about 30% less than one can buy the land and build them. This is happening often enough that those sales are no longer â€œthat low oneâ€, they are the market there. Oddly enough, after those houses are sold off and if interest rates stay relatively low, you will read in the local and national news outlets that â€œprices are risingâ€. It will seem remarkable (as it is complete nonsense). What will have â€œrisenâ€ will be the median price. That number where half of the sales fall above and half fall below. Median prices have precisely nothing to do with short term price movement but people who do all of their â€œresearchâ€ from an ivory tower donâ€™t know that. So it will get printed and quoted. What will have risen arenâ€™t THE prices but WHAT people are buying â€“ as the cheaper product is gone. The fact is prices will not start to go up until there is a rebalancing of inventory. Prices adjust in accordance with changes in supply and demand, monitored by fear and greed. This is not a complex subject but it can be made to seem that way. The main point here is that unless you plan on waiting for some years for prices to rise, right now is as good a time to sell as you are likely to see in the near future. 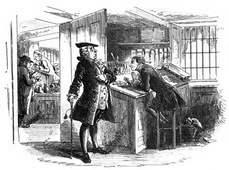 â€œIt was the best of times, it was the worst of timesâ€¦â€ so begins the novel a Tale of Two Cities. Or in the case of real estate, it is the tale of two markets. On the one hand inventory for unsold homes in MLS remains fairly stagnate at 56,000 homes. On the other hand, pending sales continue their trend upward currently hitting 8099 â€“ certainly a record high this year. In fact there are really two real estate markets at this time. Homes that are correctly priced for their condition and properly marketed, are selling. In some cases we are even seeing offers within days of listing or multiple offers. On the other hand, there is the second market of homes that are not at current market value for their condition and location. Those homes are stagnating and accumulating market times of 300+ days with no sale. Is this good or bad news for sellers? Well, we think overall it is good news because the factors that control the sale actually remain unchanged from any earlier markets. Fortunately, all of those factors are under the sellerâ€™s control â€“ price, condition, and marketing. Pricing is established by the seller (hopefully with the aid of a qualified agent), condition is controlled by the seller, and even marketing is determined by the active FSBO or by selecting a qualified agent. So what is making this market appear so different from earlier markets?? We think it comes down to the number of â€œqualifiedâ€ buyers. It is said that the seeds of failure are sown in times of success, and that certainly applies to the real estate market. Letâ€™s review how the seeds were sown. Prior to 2003, buyers were using traditional financing to obtain homes. Yes, there were buyer programs to allow buyers to purchase with nothing down (VA, Nehemiah, etc.) but still they had to qualify. They needed income, a decent credit history, and a reasonable debt load that supported their proposed house payment. Those standards in lending began to change in 2003. Standards began to weaken as the housing market roared forward. Foreclosures were low because the increasing values allowed sellers who couldnâ€™t make their payments to sell as the market built their equity rapidly. Lending confidence grew stronger and caution, weaker. And so the seeds of failure were sown. Both lenders and buyers threw caution to the wind, since the market seemed Teflon coated. Investors sensing the potential for quick money, jumped in to the market with a vengeance. This created an artificially high number of buyers â€“ buyers never before seen in this marketplace. These buyers were unqualified, whether owner occupants or uneducated investors. Eventually the lending market imploded in August of 2007, and it took a large pool of buyers out of the marketplace. Letâ€™s look at some numbers to put this in perspective. At the peak of the market in 2005, there were over 10,000 transactions closing a month. In the first half of 2007, average closings per month were down to approximately 5500. After the lending meltdown in August, the numbers dropped monthly until hitting a low in January 2008 of only 2877 MLS sales. Since Januaryâ€™s low, February posted sales of approximately 3436, and March rose to 4302. Probably the most troubling trend is the number of short sales (homes that are being sold for less than the amount owed to lenders) and REOâ€™s (real estate owned â€“ more commonly called foreclosures). Currently, foreclosures (both pre and post) amount to approximately 25% of the market â€“ both in active listings and solds. 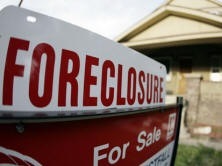 Sadly, foreclosures are predicted to continue to mount through this year. However, Congress and both the current and each of the possible new presidents are proposing a myriad of legislation to attempt to halt this trend. This is why predicting the future can be so difficult. However, it seems fairly clear that we are at near bottom, if not bottom of the market. So what does a seller do in this tale of two markets? First, if you need to sell, be assured that there are still buyers out buying and your home can be sold. On the other hand, if you are not buying as well as selling (in which case any loss on the sale is neutralized on the purchase) and can wait â€“ wait! Real estate markets operate in cycles, and this too shall pass. Of all the sellers we talk to on a daily basis one of the most heart wrenching conversations we have is the one about the possibility of foreclosure. A tragic side effect of declining values has been the number of homeowners facing the real possibility of losing their homes. Declining values can prohibit the sale of the home or refinancing due to the property now being over-encumbered for todayâ€™s value. This can leave homeowners struggling who cannot afford the payment or who must sell due to changed circumstances. For those who are confronted with this situation or who know someone who is, the options are limited. These options include keeping the home, renting the home, loan restructuring (also called loan modification), a short sale, or foreclosure. For the sake of brevity, letâ€™s examine a few of these options. Loan Modification: Loan Modification is perfect for homeowners who have met with a temporary setback and cannot catch up on the back payments but can pay the current payment amount. In this case you can contact your lender who may agree to fold any past-due amounts, including interest and escrow, into the unpaid principal balance. This new amount will be re-amortized over a period of time. Or, if you are unable to make payments at the current payment rate, your lender may agree to extend your loan for a longer period of time, modifying the payment amount to a more affordable level. In either scenario, a Loan Modification will bring your account current. The property needs to be a primary residence or second home. Some lenders will not do short sales with investors. If you are an investor, make sure you meet the remaining qualifications and contact your lender to determine their policy. Your payment is delinquent or about to be. Most lenders will not work with homeowners who are successfully making their loan payments. You have a qualifying hardship. Examples that qualify are divorce, loss of a job, medical bills, etc. You have no other assets. Lenders who see homeowners with 401Ks and large bank accounts are less likely to cooperate on a short sale. The loan has been in place close to one year or more. If the loan is not approximately one year old or more, the current lender may choose to charge the loan back to the originating lender. If a seller meets the lender criteria for a short sale, they then place their home on the market for sale. Once an offer is accepted, the offer and supporting documentation is submitted for lender approval. One caveat, currently the Loss Mitigation Departments at most lenders are overwhelmed with the number of files submitted for approval. Lenders are taking anywhere from one to three months to approve these files. These delays can be frustrating to both buyers and sellers of these properties. If you are a seller, your best option is to hire a real estate agent who does short sales to guide you through this process and explain the pros and cons. Foreclosure: The last option is foreclosure of the home. This is where the owner simply ceases making payments and walks away from the home. Currently, the government and the lending industry are taking aim at â€œwalk-awayâ€ home owners who stop making payments and months later send the house keys back to their lender. If you or someone you know is considering a short sale or foreclosure, it always a good idea to consult an attorney first. This article should not be construed as legal advice. Our goal, as always, simply remains to help our clients through this challenging market. If you would like the numbers for both local and national homeowner hotlines or are considering a short sale, please contact us so we can further explain your options. Or contact us and we will send you our Mortgage Relief Kit. Above all remember, this too shall pass.